Use PRP therapy to stop hair loss and hair thinning. Platelet rich plasma therapy, or PRP, is one of the latest medical breakthroughs of our time. PRP is a revolutionary technique that helps your follicles grow larger and healthier to accelerate hair production, giving you a youthful appearance with one of the most powerful and natural creations: a sample of your blood. The process itself is safe and fast, and only requires a small sample of your blood ( is enhanced with growth factors ) to promote follicles enlargement by injecting it into your scalp. Using PRP injections helps your scalp grow natural, thicker and healthier hair. 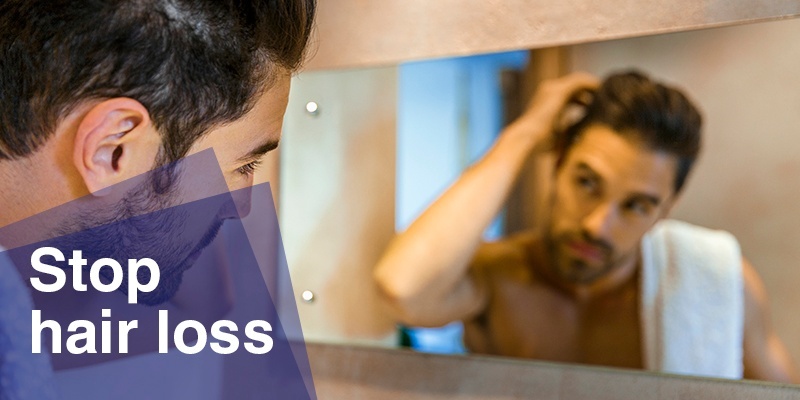 Combine them with other hair-loss procedures to get faster results. Keratin, a basic protein that makes up your hair, needs biotin to be produced. Taking biotin injections improves your body’s keratin infrastructure which translates into stronger and healthier hair.